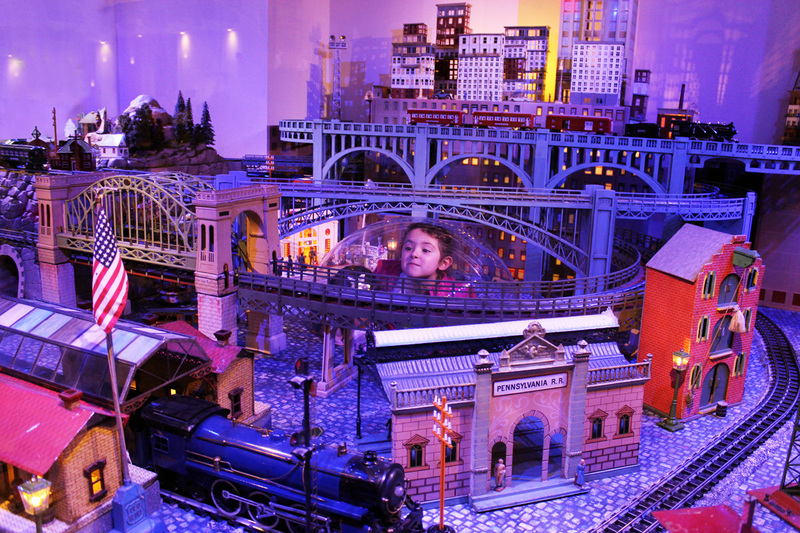 A crawl-through space leading to a pop-up semisphere allows children to get an up-close-and-personal view of the display. 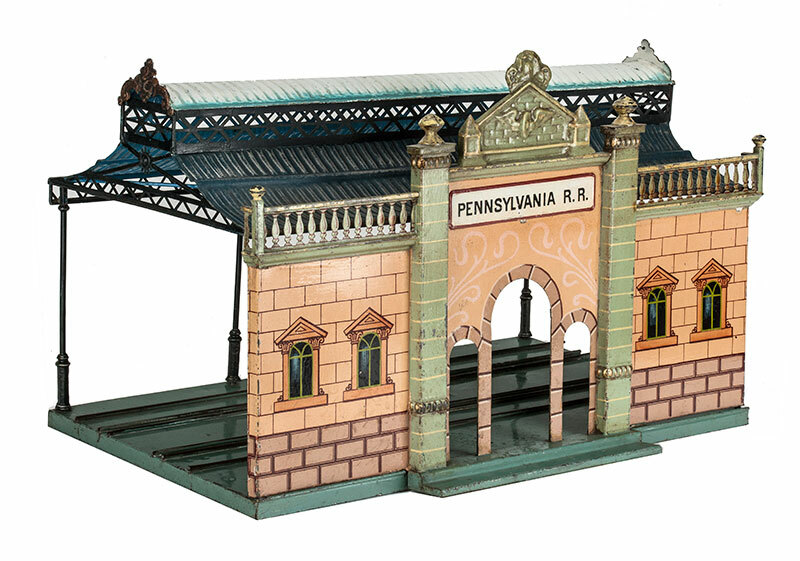 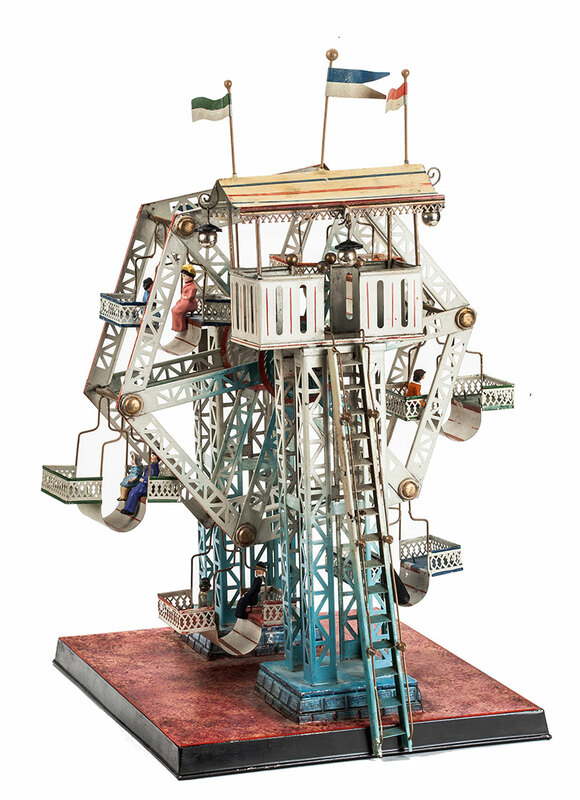 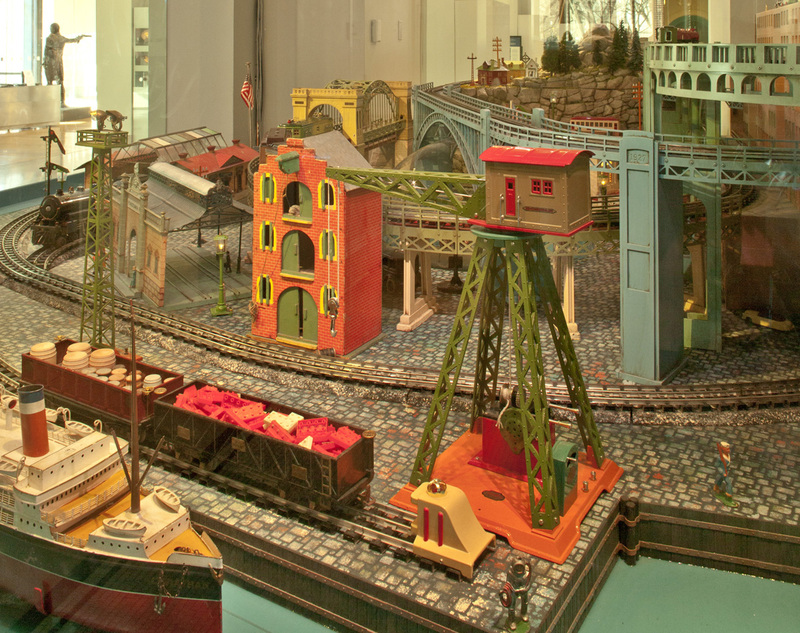 A 360-degree mountainous landscape showcases toy trains, miniature figures, and model buildings evoking the 1890s. 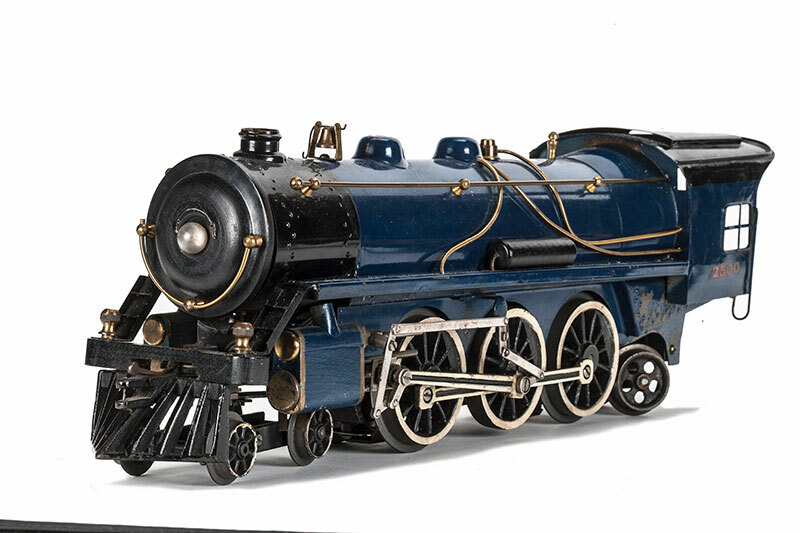 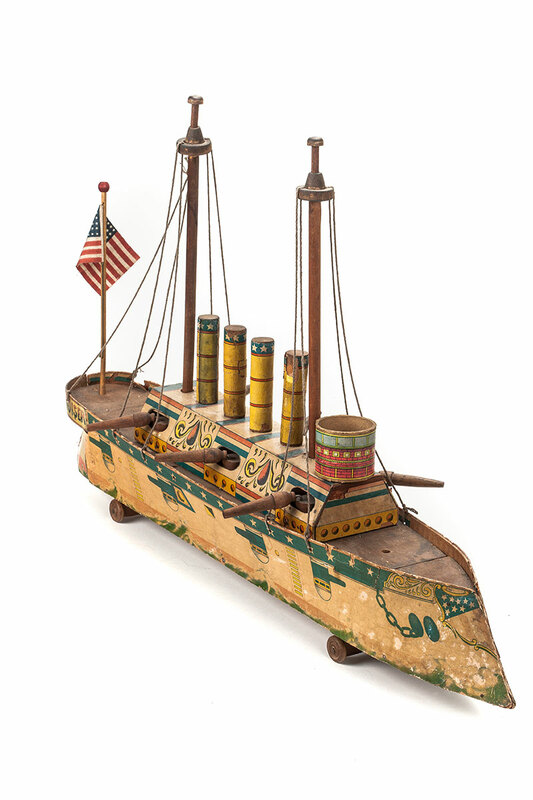 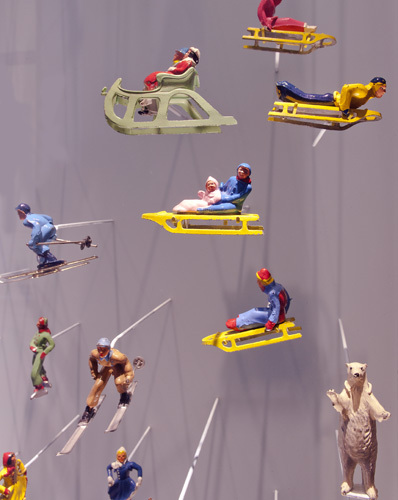 Holiday Express invites visitors to view the Jerni Collection in a display suggesting an early 20th century toy department. 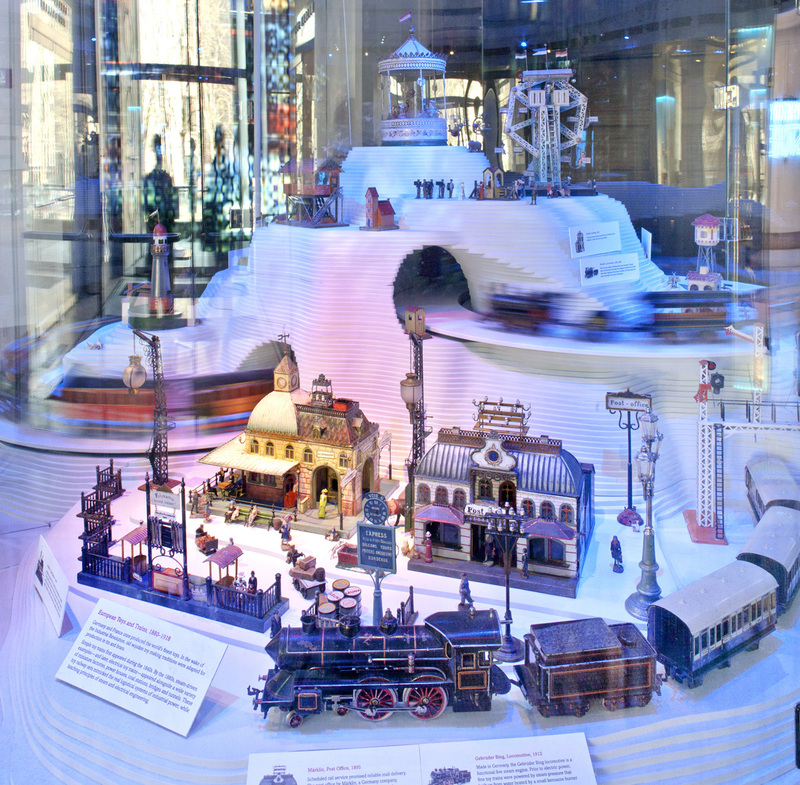 Holiday Express unfolds over a broad swath of New-York Historical’s first floor, featuring 300 pieces from the Jerni Collection that transform the space into a magical wonderland. 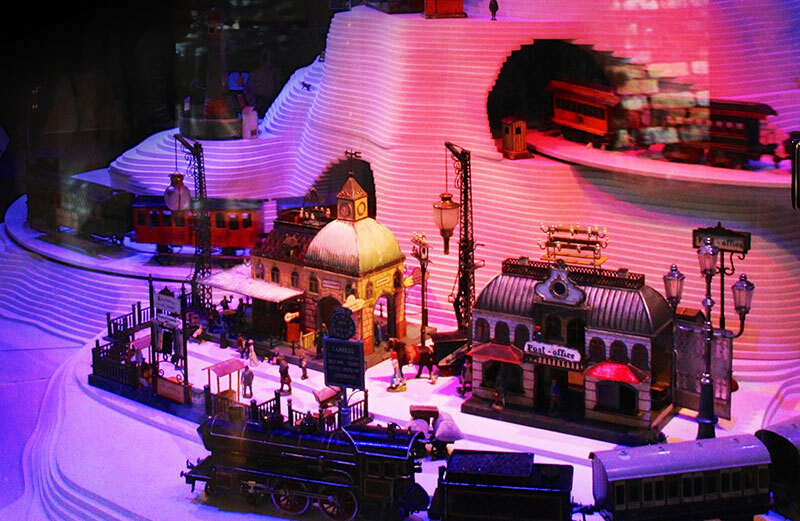 Theatrical lighting, an ambient audio “soundscape,” and other visual effects immerse visitors in an enchanting holiday experience. 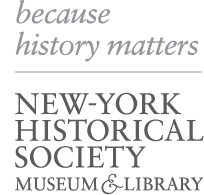 Since its acquisition by New-York Historical Society in 2014, Holiday Express has become a favorite holiday tradition.